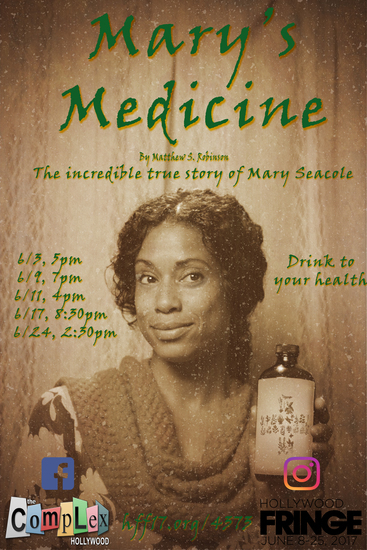 “Mary’s Medicine” tells the true story of Jamaican nurse Mary Seacole. Mary helped pioneer many holistic medicinal practices during Victorian England. Her methods were controversial for the time and some sought to destroy her reputation. Half Jamaican and Scottish Mary struggled with her identity in the world. Not to be dissuaded she worked hard to prove herself a valuable person in the fields of nursing and medicine. Despite being a decorated hero of the Crimean war history seems to have forgotten Seacole, but now on stage her incredible story of determination, courage and wits will be told.